The San Marco Square in Florence in 2017. 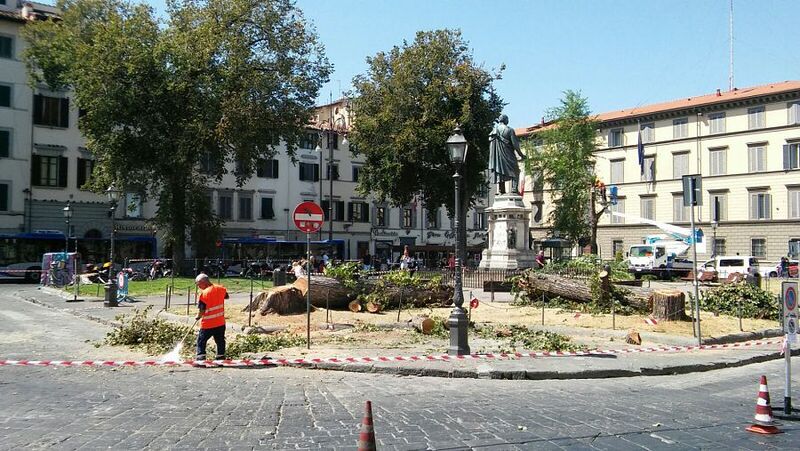 You can see the ancient trees of the square being cut as part of a plan that involved the removal of several hundred trees in the whole city. The action was accompanied by a propaganda campaign against trees that looked curiously similar to that used to justify the invasion of Iraq, in 2003. 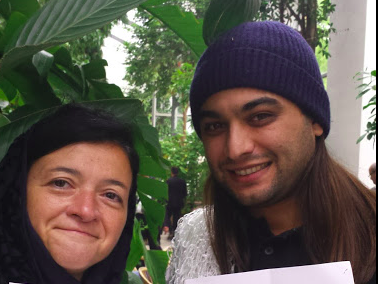 "Trees are a threat to citizens,", "There is no alternative," "Killer Trees," and the like. The war on trees seems to be starting. I don't know about what's happening where you live, but here, in Italy, we see it clearly, accompanied by all the propaganda tricks normally used to start wars. So, we have seen a string of accusations in the media against "killer trees," supposed to be a danger for the citizens because they can fall on them or on their beloved shiny cars. The image on the right, here shows the first page of an Italian newspaper in 2014 informing us there are "50,000 killer trees" in Rome. Truly an invading army to be fought with the appropriate weaponry in the form of chainsaws. One century ago, city administrations were proud of planting trees, today they are proud of cutting them. What happened that changed their attitude so much is hard to say. Maybe it is the general degradation of the ecosystem that has turned trees into monsters, but that doesn't explain how administrations are starting also a war on forests - surely not threatening citizens or their cars. In a previous post, I commented on a recent piece of legislation in Italy that forces land owners to cut their woods even if they don't want to. From the comments I received to that post and from what I can read on the Web, I think I can say that the war on trees is not just an Italian phenomenon, it is worldwide. I interpreted this war as the result of the diminishing returns of our energy sources - mainly fossil fuels. The returns of an energy source, as you may know, can be expressed in terms of EROI (energy return on energy invested). It is the ratio of result to effort. Extracting oil, for instance, implies digging a well, using pumps, and many more things which have an energy cost. The energy obtained from oil need be much larger than the energy spent on oil, otherwise the whole effort would be useless. And, historically, it has been the case. At the height of the oil age, an oil well in the US provided perhaps 50 times the energy spent to extract the oil. But not anymore: it is the harsh law of the EROI: it declines with time. The consequence is a well-known law in economics: diminishing returns on investments. What's happening worldwide is that the EROI of fossil fuels has been going down. It was expected: it is a result of the gradual depletion of the resources. Obviously people will look first for the best resources, then progressively move to less good ones. This has consequences: the worldwide search for oil and other fuels leads to conflicts for what's left - the invasion of Iraq in 2003 is a good example. But even the Iraqi oil is subjected to the harsh law of EROI. The result is that some energy resources which, once, looked old and outfashioned, now start looking good again. Wood, for instance. And here is the reason for the war on trees. As all wars, it is a war on resources. And, as it is normal in our times, before going to war, you demonize your enemies - hence the "killer trees." It is also traditional to state that wars are done in the name of lofty and noble principles, in this case in the name of ecology, since wood is said to be a "carbon neutral" energy resource and therefore cutting trees somehow fights global warming. Alas, no. Wood burning is NOT carbon neutral. It is true that the CO2 generated by burning biomass will eventually become biomass again, but it takes time. A recent study estimates that it takes several decades, even a century, for the CO2 generated by burning trees to be reabsorbed from the atmosphere in the form of new trees. And that assumes that the forest reforms while, in practice, forest razing is often an irreversible phenomenon, at least on the century time scale. According to some recent studies, the Sahara may be a human-made desert. So, the harsh law of the EROI holds also for wood. If the current rush to wood cutting continues, the best resources will soon be exhausted and cutters will move to more expensive ones. At some moment, the cycle that's leading from fossils to wood will repeat itself: after wood, what? How about burning furniture? The political history of Europe during the past 5 centuries or so. Note how nation-states crystallized in the current form mostly during the 19th century. These entities turned out to be extremely resilient and they survived two major world wars and all sorts of disasters. Nation-states are much less important today in the age of the Globalized empire, but they are still alive and kicking. The recent events in Italy the attempt of creating a more independent national government clashed against the international political imperatives. It is all part of a general trend that may lead to the disgregation of the Eurozone and, perhaps, to a Seneca Collapse for the weaker European economies, including the Italian one. A few things became clear in Italy during the past few days. One is that Italy is not a real "sovereign state," as it became evident when President Mattarella refused to accept a government which included people who had taken critical positions against the European Union and against the Euro. It was a necessary outcome of the situation: from 1943 Italy has been occupied by the troops of the victorious American Empire. Only a certain degree of fiction has been maintained to imply that Italy is able, in principle, to take independent decisions in matters dealing with the economy and foreign policy. In practice, whenever Italian officers tried to take such independent decisions, they discovered that it was an unwise choice - even for their own physical survival. There have been several instructive cases in the past, starting with Enrico Mattei, president of the Italian National Oil Company (ENI). He pursued a politics of independence for the Italian energy system and he died in a mysterious (but not so much) airplane crash in 1962. History, as usual, rhymes with itself and, recently, the winners of the latest Italian elections, the leaders of the M5s and the Northern League (now simply the League) parties, tried to form a government with a program of sweeping reforms which included an attempt to gain a larger degree of independence from the European Union in financial matters. The program didn't include anything equivalent to the British "Brexit" but it was, clearly, a step in that direction. It didn't work, and it should have been obvious from the beginning that it couldn't. The rules of the imperial game are not based on democracy: defeated and occupied countries can't vote for their independence (it happened to Catalonia, too). Try a little exercise, imagine that, after the defeat of Queen Boudicca, the Celts of Britain had voted for a National government pursuing a policy of independence from Rome. You get the point, I think. What's perhaps most surprising is how a lot of Italians reacted to the events. They took Mr. Mattarella's decision as an insult to the sovereignty of Italy. That is, they seem to believe that such a thing as an Italian sovereign state exists, despite the American troops occupying Italy with more than 10,000 men in at least a hundred military bases (all your bases are belong to US). And the military occupation is just a marginal element of a much more in-depth political and financial occupation. Yet, in a certain sense, the Italians are right. In politics, often beliefs are stronger than reality - politics creates its own reality. And so, if Italians truly believe that Italy is an independent country, then at least it could become one. It is what happened in 1861, when Italy was created as an independent state for the first time in history. Now, there are events that highlight long-term trends. The power scuffle about the new government in Italy is one of these events. It shows that the Global Empire is still strong, but also in evident decline because it could be challenged - although unsuccessfully - by the winning parties of the recent Italian elections. Empires are fragile things in the sense that they need a lot of energy to keep moving - and they tend to have a short lifetime in comparison to the more resilient entities we call "nations." Empires, in other words, are subjected to the kind of rapid collapse that I call the "Seneca Collapse"
The Global/American Empire is no exception. It is the product of the power of fossil fuels and it will persist only as long as fossil fuels are cheap and abundant. That can't and won't last forever, although at present it is impossible to say for how long. Rome was said to be eternal at the time of the Roman Empire, but it wasn't. The same is true for Washington D.C. (and for Brussels, which will probably fall earlier). So, at some moment Italy may become again an independent state, as it was from 1861 to 1943. Most Italians, right now, seem to think that it would be a good idea. But will it be? Think about this: after the Roman Legions left Britain, were the Britons richer? Or happier to be ruled by tribal chieftains? Debatable, to say the least. Little rabbits, little rabbits, come to me and hear this story. I can tell it to you because I am the oldest rabbit of all the island and I have heard it by rabbits older than me, who heard it from rabbits older than them. And so, this is the story of the island where we live, that we call Rabbit Island, and where our rabbit ancestors have been living for many, many years. So many that no rabbit ever could count them. But, little rabbits, to tell you this story, I must tell you also about the foxes of Rabbit Island. And I know that you heard about the foxes. You know that foxes are evil creatures and that they eat rabbits. Yes, young rabbits, that’s what they do and that's an evil thing to do. But perhaps there is a reason why foxes exist and eat rabbits and maybe it is all part of the plan of the Rabbit God who knows best. So, listen to me, little rabbits and hear this old story. The first rabbits came to Rabbit Island long, long ago. Some say that the first rabbit couple came here on a raft from a place beyond the horizon. But some say that rabbits were created here by the Rabbit God in his image as most perfect creatures. No matter how they arrived here, the rabbits found an island rich in grass, trees, and water. They reproduced and grew in numbers, obeying the command of grow and multiply that the Rabbit God had given to them. But, one day, foxes came to the island. Some say that the first fox couple arrived on a raft from a place beyond the horizon. Others say, instead, that foxes were created here by the Fox-God, and that the Rabbit God allowed them to be created to challenge the faith of the rabbits, but this is not easy for me to say. Whatever deity created them, or wherever they came from, the first fox couple found the Island rich in grass, trees, water, and many, many rabbits. And the foxes were smart and strong, and they grew by chasing rabbits and killing them in great numbers. And with so much food, the foxes grew in numbers and killed many more rabbits. Oh, children, that was a tough time for the rabbits of the islands; so tough that we remember it as the time of the great slaughter. Now, young rabbits, there is a curious story that I can tell you. I heard it from a very old rabbit who said to have heard it from an even older rabbit who told him he had been alive at the time of the slaughter. And this rabbit who lived long ago must have been very brave, because he said that he spied the foxes as they convened in council, at that time, somewhere in the middle of the island. And I cannot say if this story is true or not, nor how it was that this rabbit of old could understand the language of the foxes, although I can imagine it was a gift bestowed on him by the Rabbit God. Anyway, he heard from afar what the foxes were telling to each other. And so it was that the foxes were telling each other that rabbits had become difficult to find and that they had to trouble more and more to find food, and that some of them were starving. And some foxes were wondering why it was so. Then, an old fox who looked very wise came and she gathered the younger foxes around her and told them this, "Fellow foxes, the reason of the troubles you have is that we have been growing in numbers and that we have been killing many rabbits, and that there are not so many left and that makes it difficult for us to find food. And if we keep killing rabbits in such great numbers and keep having many foxlings, things will become even worse. We shouldn't kill so many rabbits, and we shouldn't have such large litters, either." At that, the foxes were much troubled, and they started discussing what the old fox had told them. Some foxes said that the old fox was right and that they shouldn’t keep killing many rabbits and having so many foxlings. But some foxes said that there was no such a thing as too much killing of rabbits. They said that there were still many rabbits on the island, it was just a question of looking harder. If some young foxes were starving, they said, it was because they had become lazy. They had to be taught how to run faster and to be smarter. In this way, foxes would still be able to catch as many rabbits as they needed. In the end, the rabbit who had been spying the foxes said that the young foxes laughed at the old fox and said she was a fool, and that they would return to chasing rabbits. Those were the times of the Great Slaughter. 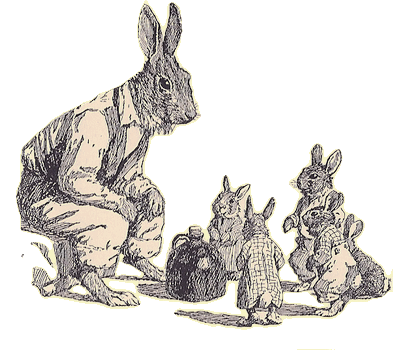 I have been telling this story many times and it still scares me, but I must tell you this story, young rabbits. And, believe me, it must have been a terrible time for the rabbits because the island was full of foxes. It is said that just a few rabbits could hide in the darkest places of the forest, in thornbushes, and in mazes of tree roots, praying the Rabbit-God that they could be spared from the fury of the foxes. And the Rabbit-God must have heard their prayers because they were not found by the foxes. After some time, they dared to come out of their hideouts and they found that there was no fox to be seen alive anywhere on the island - only their bones were left, strewn all over the plains. Once, there were many, many more of these bones on the island, but you may have had a chance, young rabbits, to see some of the few that remain. So, after the Great Slaughter was over, the foxes were gone and we rabbits had the Island all for ourselves. And we have had good grass to eat and good times to grow and multiply, which some say is what the Rabbit God told us to do. Yet, sometimes I think that this story may not have such a happy ending after all. You know that there are now many, many rabbits living on the island; so many that fields seem at times to be white rather than green. And sometimes I think we shouldn't let our numbers grow so much because grass can't regrow fast enough to feed so many of us. But others have said that grass is not the problem. Young rabbits have become lazy, they say, and they only complain so much because they can't always find grass at paw length. That's not the way a good rabbit should be: they must learn to find their food, even at the cost of walking far away, where there is still plenty of grass. It may be that there is still enough grass for all of us, somewhere. But what makes me afraid the most is what I have been hearing lately. You may have heard the same rumors: that some rabbits have disappeared and nothing was heard of them anymore - not even their bones could be found. And you may have heard of some who have been telling of gray shapes they saw hiding in the forest. And, at nightfall, some have been telling of bright, yellow eyes looking at them from the darkness. Could it be, the Rabbit God forbid, that the foxes are back? Nobody can say if some foxes had survived the Great Die-Off, or if some of them came again on a raft from beyond the horizon. The only thing I can tell is that perhaps we should not have grown in numbers so much because rabbits make tasty food for foxes and some old rabbit folks had alerted us about that; long ago, but nobody listened to them. I am an old rabbit now so I will not see what the future has in store for the rabbits of Rabbit Island; but you will, young rabbits. So, it is time for you to go to sleep. Sleep well, little rabbits, and don't look at the forest. The reasons for the fall of the Western Roman Empire have remained a mystery for modern historians, just as for the Romans themselves. 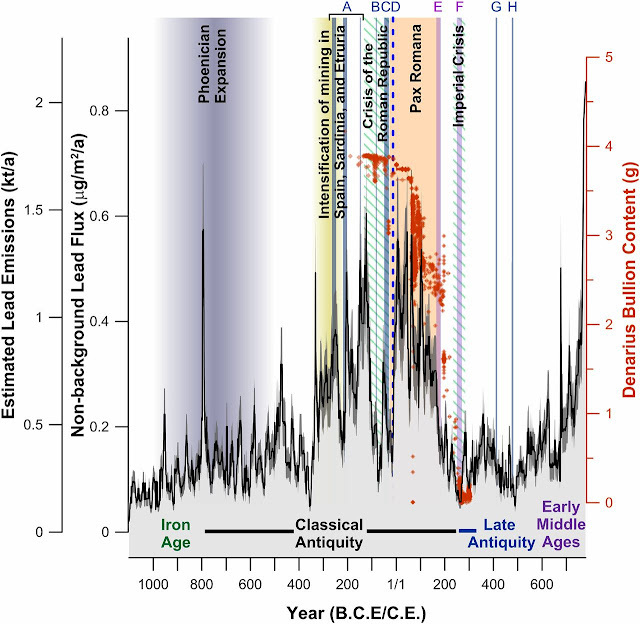 Yet, recent data from the Greenland ice core provide us with new data on collapse of the Empire, showing how fast and brutal it was - a true "Seneca Collapse." Could our civilization go the same way? 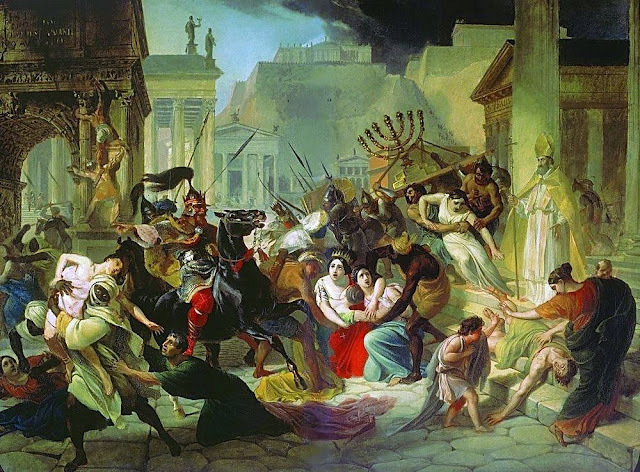 (above: the sack of Rome by the Visigoths of King Alaric in 410 AD). The Ancient Romans never understood what hit them. Nor did later historians: there exist literally hundreds of theories on what caused the fall of the Roman Empire. In 1984 Demandt listed 210 of them, ranging from moral decline to the diffusion of Christianity. Today, some historians still say that the fall is a "mystery" and some attribute it to the improbable piling up of several independent factors which, somehow, happened to gang up together. Recent data by McConnell et al on lead pollution provide a more detailed picture (See also Peter Turchin's blog). The beauty of having data is that we are not discussing any more of vague concepts such as the "lack of moral fiber," a factor that was proposed as the cause of the fall. No, the data are there, stark clear. They show that, when the Roman Empire officially disappeared during the 5th century, it was already an empty shell. The actual collapse took place during the 3rd century, when the Roman economy ceased to function, as shown by the data on lead production - a proxy for the industrial activity of the Empire. Look at how abruptly the collapse was. It is a typical case of a "Seneca Collapse," when growth is slow but decline is rapid. 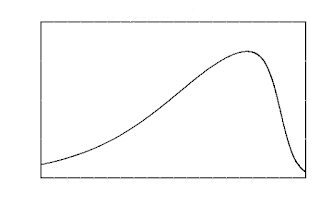 A general phenomenon shown in the image below. Now, the big question: the data tell us how the collapse took place, but why did it occur? Here, we face a problem typical of complex systems. These systems are dominated by the phenomenon called "feedback" which may strongly amplify the effects of a small, nearly undetectable perturbation. It is the story of the straw that broke the camel's back: if you were to see the camel falling down, you wouldn't notice the role of the straw. This is another reason for the proliferation of theories on the fall of the Roman Empire: people saw consequences and thought they were causes. For instance, it is tempting to say (and many people did) that the Roman Empire collapsed because it was overwhelmed by invading Barbarians. But that's not the case: the Barbarians invaded an already weakened Roman Empire as the data clearly show us. So, what was the straw that generated the economic collapse of the Empire? The most likely culprit is the debasing of the Roman denarius. As you can note in the figure by McConnell, above (look at the red dots), the content of silver in the denarius coin collapsed along the same trajectory followed by lead. The Romans could surely survive without lead, but could they survive without the currency that made the whole system work? No money means that nobody can buy things. And if nobody buys, nobody sells. And if nobody sells, nobody produces. The collapse of the production of precious metals may very well the element we are looking for: the perturbation that broke the Empire's back. Of course, the debasing of the denarius was not a choice: it must have been a necessity. And the obvious factor may have been mineral depletion, provided that it is correctly understood. We have scant direct data on the production of the Roman mines, but we know that progressive depletion forced the Romans to go deeper and deeper into the veins of precious metals they were exploiting in Spain. That required more and more expensive procedures and equipment. The mining system gradually became a terrible burden for the Roman economy and, eventually, something had to give. We don't know exactly what broke the back of the Roman mining system - maybe a political crisis or the Antonine Plague (*) - but, in any case, by the end of the 2nd century AD, the mines were abandoned. The pumps ceased to function, the shafts were flooded with water, and the production of precious metals stopped. Without a constant supply precious metals, the Roman gold disappeared, used to buy luxury items from China. Without gold, the Roman economic system couldn't work - at least not in the same way as before. Note that depletion is not the same thing as "running out" of something. The Roman mines still contained some precious ore when they collapsed, it was just too expensive for the Romans to extract it. Only much later, during the 19th and early 20th century, the availability of modern technologies made it possible to restart exploiting these old mines. Note also how different is the case of lead: by the late Middle Ages, more lead was produced in the world than during the high times of the Roman Empire. Depletion was not an important factor in the decline of lead production. So, you see how the Roman system went down in a cascade of effects that was originated by the depletion of their precious metal mines. It was slow and it wasn't recognized by the Roman themselves, nor by modern historians. But it was unavoidable: no mine can last forever. It is what's happening to us, today, with our "black gold," petroleum. Depletion may well cause crude oil production to go through a "Seneca Collapse" not because we are running out of oil, but because extracting it is becoming progressively more expensive. A new perturbation, such as a regional war, could be the straw that breaks the oil industry's back. And that could have devastating consequences on the modern empire we call "globalization". Dead if we keep doing it with our current dependency on mined finite-supply mineral fertilizers and obsolete if we hope to maintain even the current population... NO MATTER WHETHER IT’S DONE ORGANICALLY OR WITHOUT GMOs. Too little is now being done to respond to this. Our response options are to make some modifications to soil agricultural technologies, to develop new forms of food and fiber production and use more efficient ways of consumption that could support even higher human populations, or by default, to return to low-intensity soil agriculture + hunting and gathering that could support only a small fraction of our current population at much lower technological levels. Why? All life on the planet (with a few very rare exceptions...organisms living on heat near underwater volcanic vents instead of using photosynthesis) depends on a very thin layer at the surface of earth’s topsoils and the photic zone of the earth’s surface waters to provide life-supporting minerals like K, P, Mg, Fe, etc. This layer, call it the life-support mineral nutrient layer (LSMNL), where photosynthesis occurs and where minerals are bioavailable (in ionic form dissolved in water)and physically accessible by photosynthesizers is where the food web begins. The soil agriculture that provides us with our endosomatic energy (food kilocalories) and our own life-support mineral nutrient needs is carried out in the LSMNL. Agronomics as it’s done today...the selling of plant products without the return of mineral nutrients in human biowastes back to the growing soils, inevitably takes minerals out of the LSMNL much faster than they are replenished by natural processes...weathering of rocks (mechanical or biochemical) and volcanic ash deposition. Deposition of sediments in riverine flood zones can also act to replenish flood plain areas’ mineral nutrient supplies but only a small portion of the earth’s total agriculture occurs on such flood plains. The overwhelming majority of food production today is only possible because farmers supplement soils too poor in naturally supplied minerals by applying mined (finite in supply) mineral nutrients at a high-enough rate to replenish losses due to non-return of mineral nutrients from our biowastes as well as losses to erosion and leaching which are often exacerbated by modern agricultural techniques. Modern farmers and even the simple peasant subsistence farmer are practicing nothing but another form of depletion-based technology, as is fossil fuel consumption for our exosomatic energy. Soil agriculture as we now do it consists in depleting the minerals of the LSMNL without return of the human biowastes that contain the minerals taken from the soils in our agricultural and forestry products. That’s a dead-end path, sooner or later. Contrast the case of an ecosystem that’s running naturally. A natural forest or prairie ecosystem has virtually every sq cm of the soil covered with something that’s either growing or decomposing. No plant products are being removed. All the animals are depositing their biowastes fairly evenly over the soils. There are various species of plants with a wide range of root system depths and there are healthy micro flora and fauna in the soils capturing minerals that would leach down to lower not-root-accessible layers and also carrying out weathering processes on rocks and grains that make minerals from them bioavailable. The monoculture of a crop growing field has mostly bare soils between plants, and also bare between growing seasons, exposed to erosional agents of wind and water. Its plants (our staple foods) have with only short depth root systems...very thin effective LSMNL. It has humans taking away mineral nutrients in the foods or fibers they harvest and never being returned to the growing fields from which they are taken. Forestry has also become highly dependent on additions of mined mineral nutrients and is at this time our primary source of important products like wood and paper...things we need to replace with synthetic hydrocarbons. The orchard or plantation cultivation of trees is also a source of foods like palm oil and palm sugar and various fruits. The dependence of all types of tree cultivation on mined mineral nutrients has made it every bit as unsustainable as the soil agriculture that provides the bulk of our dietary needs. Natural forests and prairies are sustainable ecosystems. Soil agricultural fields, “managed” forests, orchards, and plantations are not. Sadly, and perhaps in only a few generations more, tragically, the problem of LSMNL soil mineral depletion has been getting little attention. Much more attention has been given to organic farming (stopping the use of synthetic chemical pesticides and herbicides and using natural N sources) and the fight to stop GMO technology...important matters but really secondary in comparison to LSMNL depletion. Many people simply do not understand the situation and are unaware that virtually no agriculture or silviculture now being done is being done sustainably. Here we have the most basic and essential life support input, food, under threat of a supply collapse that could begin in just a few more generations and it’s barely registering in the public consciousness. Yes, compared to the time we have left to make an exosomatic renewable energy transition, we do still have a little bit more time left on the clock to deal with this, but it’s also a potentially far deeper and more complex problem requiring much more time to handle. The first red warning light, and it only takes one to declare an emergency, on the LSMNL instrument panel is for our supply of the mineral P, phosphorus. Keep in mind that there are numerous life-essential minerals which means that the supply of any one of them could severely limit our food supply, but P is arguably the most essential as it is the only mineral element found in the structure of DNA. The P supply warning light is now on and, although there is no firm consensus, the range of time-left-to-exhaustion-of-economically-recoverable P-rich rock reserves is from ~70 up to 200 years at current rates of consumption. Remember, P is not a replacable commodity like fossil fuels that can be replaced by renewable energy sources, but is a non-substitutable life essential commodity., and so 70-200 years is not really much time when dealing with a supply problem for something like this. We should be moving now with urgency equal to that we place on our exosomatic energy supply problems to be developing and implementing the next paradigm of food production, beyond soil agriculture, something I call EternaCulture (EC)...closed mineral nutrient loop hydroponics (with very limited soil based growing of selected crops that have very low mineral content). Along with transitioning to a semi-vegan diet, this technology, if implemented well by placing most of it in tropical zones could enable us to keep our current population fed (even a much larger one) on a fraction of current agricultural land and water use. It could allow vast areas of natural prairies and forest ecosystems to re-develop on lands that would be no longer needed for meeting human needs. It would put an end to the appearance of oceanic dead zones that form due to fertilizer run-off into rivers. It would also be much more amenable to zeroing-out the use of pest- and herbicides, and it simultaneously provides for sanitation and fertilization services. As an added bonus, it would give the Southern (industrially less-developed,tropical climate zone nations) a sustainable and substantial revenue source for trading with the North. As with the transition to renewable exosomatic energy, a transition to renewable food and fiber technology like EC will require decades of time and trillions of dollars in start-up capital, but its potential payoff is to enable a truly sustainable economy that can even continue to grow so that all the world’s people can reach a decent and healthy modern standard of living. If we could achieve that, the demographic transition phenomenon could stabilize our populations and we could continue pursuing the human dream of ad astra. Failing to make the transition to truly sustainable food production technology like EC will virtually guarantee that we will be going back to a pre-agricultural-revolution economy. Without sustainable food, no economy is sustainable, and food supply tech is the primary determinant of all other aspects of any economy. Man’s future is going to depend more on endo-energy (food) technology than on exo-energy technology. An American raised in the farmlands of Indiana and living for the past 11 years in a small subsistence farming village in Yogyakarta, Indonesia, a graduate of Purdue University where he majored in Mathematics and minored in Physics and Aerospace Engineering followed by some graduate studies in Nuclear Fusion, Atmospheric Science, Photogrammetry, and Remote Sensing, Greg followed a career path in aerial imagery and topographical mapping and then became a spirulina culturist. He is now a struggling entrepreneur focused on ideas that follow the principles of what he calls Sustetatek, sustainable and efficient technologies for mankind’s flight into the future, and is currently working on a number of small projects like closed mineral nutrient loop food growing, an emoped, and a PVC-steel composite microhouse. The Roman philosopher Lucius Annaeus Seneca was perhaps the first in history to identify and discuss collapse and to note that "the way to ruin is rapid." From Seneca's idea, Ugo Bardi coined the term "Seneca Effect" to describe all cases where things go bad fast and used the modern science of complex systems to understand why and how collapses occur. Above: the Egyptian pyramid of Meidum, perhaps the first large edifice in history to experience collapse. 1. Collapse is rapid. Already some 2,000 years ago, the Roman philosopher Seneca noted that when things start going bad, they go bad fast. It takes a lot of time to put together a building, a company, a government, a whole society, a piece of machinery. And it takes very little time for the whole structure to unravel at the seams. Think of the collapse of a house of cards, or that of the twin towers after the 9/11 attacks, or even of apparently slow collapses such as that of the Roman Empire. Collapses are fast, it is their characteristic. 2. Collapse is not a bug, it is a feature of the universe. Collapses occur all the time, in all fields, everywhere. Over your lifetime, you are likely to experience at least a few relatively large collapses: natural phenomena such as hurricanes, earthquakes, or floods - major financial collapses - such as the one that took place in 2008 - and you may also see wars and social violence. And you may well see small-scale personal disasters such as losing your job or divorcing. Nobody at school taught you how to deal with collapse, but to cope with it you'd better learn at least something of the "science of complex systems." 3. No collapse is ever completely unexpected. The science of complex systems tells us that collapses can never be exactly predicted, but that's not a justification for being caught by surprise. You may not know when an earthquake will strike but, if you live in a seismic zone, you have no justification for not take precautions against one - such as having emergency tools and provisions. The same holds for defending yourself and your family against thieves, robbers, and all sorts of bad people. And make plans for political unrest or financial troubles. You cannot avoid some collapses, but you can surely be prepared for them. 4. Resisting collapses is usually a bad idea. Collapse is the way the universe uses to get rid of the old to make space for the new. Resisting collapse means to strive to keep something old alive when it could be a better idea to let it rest in peace. 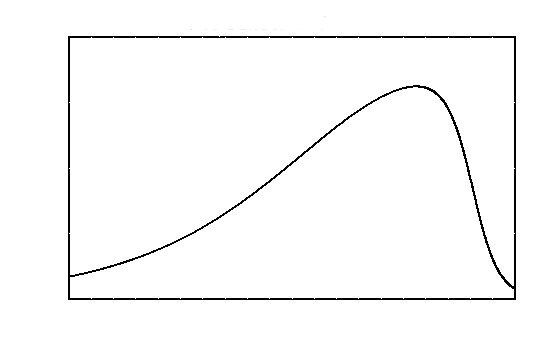 And, if you succeed for a while, you are likely to create an even worse collapse - it is typical. 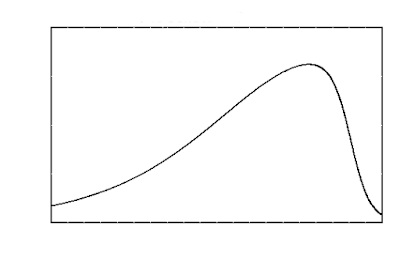 The science of complex systems tells us that the main reason for the steep "Seneca Collapse" is the attempt to stave it off. So, let nature follow its course and know that there some problems may be unsolvable but can be surely worsened. 5. Collapse may not be a problem but an opportunity. 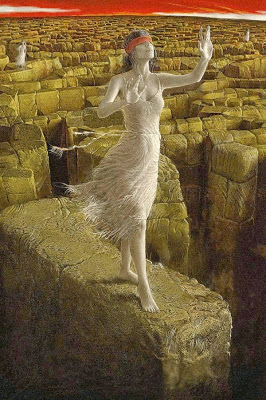 Collapse is nothing but a "tipping point" from one condition to another. What looks to you like a disaster may be nothing but a passage to a new condition which could be better than the old. So, if you lose your job, that may give you the opportunity to seek a better one. And if your company goes belly up, you may start another one without making the same mistakes you did with the first. Even disasters such as earthquakes or floods may be an opportunity to understand what's your role in life, as well as give you a chance to help your family and your neighbors. The Stoic philosophers (and Seneca was one) understood this point and told us how to maintain one's balance and happiness even in the midst of difficulties. 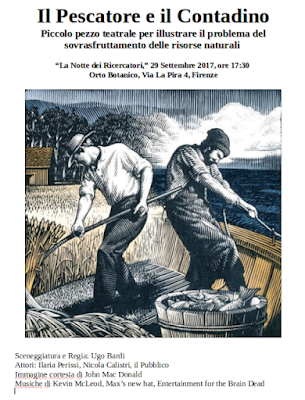 Ilaria Perissi and Nicola Calisi playing the fisherman and his wife in a theatrical piece shown in Florence in 2017. The piece was based on the story told below (text by Ugo Bardi). The origin of this story is told here. Once upon a time, a fisherman who lived on the shore of the lake went to visit his cousin, a farmer, who lived in the countryside. Some years later, the farmer went to visit his cousin, the fisherman, who lived on the shore of the lake. “And so be it, cousin,” said the fisherman, “and I thank you for your prayers although it may well be that God will not help those who caused their own ruin. But I wish that God will help you and the other farmers who wisely keep the seed of the present harvest for the future harvest. Below, the announcement of the play. Negative Emission Technologies: maybe we can still save the world, after all! The ancient Egyptians knew how to manage the commons. 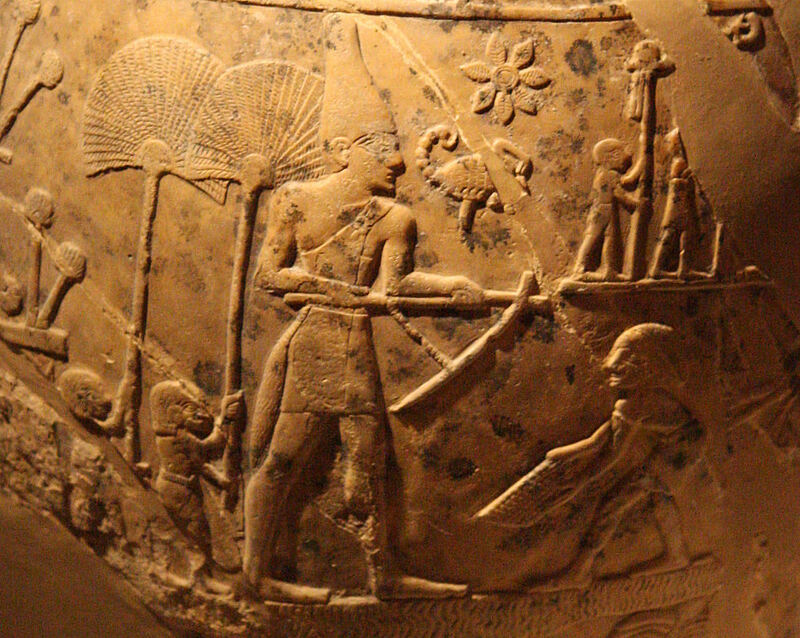 A single central authority managed the Nile river, to make sure that everybody had enough water for their needs. Could we do the same for our atmospheric commons and save the world by using negative emission technologies (NET)? 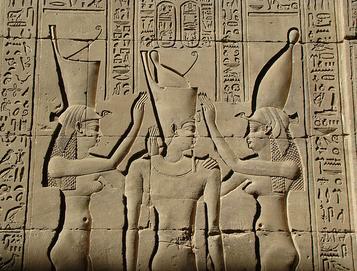 Above, a Pharaoh (probably Ramses II) receives the crown of Upper and Lower Egypt. Before I went to hear Klaus Lackner in Les Houches in March 2018 (image on the right), I had a very poor opinion of direct atmospheric capture (DAC) and negative emission technologies (NET). If you had asked me, I would have said that there is no need for these technologies: why can't we just avoid emissions, instead? And if you were to tell me about "artificial trees," I would have told you that Mother Nature spent some 350 million years to develop trees, and She knows better than us how to remove CO2 from the air. Well, I changed my mind. I came out of Lackner's seminar convinced that DAC/NET may give us a fighting chance to survive. Consider that it is perfectly possible that we already passed the "tipping point" that will lead Earth's climate to move to a different climate state. In that case, reducing emissions or even zeroing them will not help us. And, in any case, we are not doing that fast enough. So, DAC/NET as the last hope to save civilization? (*) Possible and even likely. Let me explain. First of all, let me state a point which is clear to me: the energy transition is NOT a technological problem. We could go through the transition fast enough to avoid running out of energy and before climate change destroys us. But only if we were willing to invest enough in the transition, and we aren't. The problem is financial and political. And, at present, it seems to be impossible to solve since the idea that civilization (and perhaps humankind) is at risk is just not penetrating into the consciousness of the decision makers. The main problem is that we haven't been able to find a way to frame the message in the right way. Let's imagine a dialog between a scientist and the public. Scientist: We have a big problem with CO2 emissions. The atmosphere is going to overheat, the tropics will be desertified, the sea level will rise and swamp all the coastal cities, lots of people will die of starvation. And more dark and dire things. Public. Ouch, that's terrible. What can we do to avoid that? Scientist. Well, you have to change your lifestyle. Give up your car for a bicycle, turn down your thermostat, no vacations overseas, that kind of things. Public. I see... Mr. Scientist, but are YOU doing that? Scientist: Well, I do what I can but, you see, there is this thing that we scientists call the "h-factor" and the higher it is, the higher our salary is, so I have to attend international conferences, take planes, travel, all that. . .
Public. You know, Mr. Scientist, I think you are part of a conspiracy of scientists who invented the idea of global warming in order to siphon money out of the pockets of taxpayers. And, by the way, on the next elections I am going to vote for someone who will defund your research so that you'll stop bothering me with this scam. Scientist. A little CO2 in the atmosphere is a good thing, but too much of it becomes a waste problem which may create a climate disaster. Public. So, Mr. Scientist, what do we have to do to avoid that? Scientist. Well, we have ways to remove the excess CO2 in the atmosphere. It will cost you some money, of course, but it is just like for the household waste you produce. Every good citizen has to pay to have their waste taken care of. Public. But what are YOU doing about that? Scientist: Me? Of course, I am going to pay for the removal of my CO2 waste, just as everybody else. Public. Hmmm...... I see. Let's discuss how much that would cost. So, the idea of atmospheric CO2 removal - NET - could be just the kind of message that goes through and that can be understood by almost everybody. Lackner himself confirms that from his experience in Arizona, where he works. Arizona is not known to be a place where people agree with the idea that AGW exists and is a problem. But Lackner reports that when the climate problem is framed in terms of "clean up your mess," then even the most hardened science disbelievers may grudgingly admit that something needs to be done. And to the people who insist that "CO2 is not a pollutant" you can just answer, "nor is coffee, but if you spill some of it on your carpet you'll want to remove it." Of course, a good message is useless if applied to a technology which can't work but, in this case, I think there are reasons to think that DAC/NET could. It is a complex story, but you can start looking at it from Lackner's papers at this link. You can also find useful data about costs and about the energy involved at this link. For something not academic, see this article on The Guardian. You'll see that this technology is a thoroughly studied subject, not an idea just thrown in. And it has a number of advantages. One is that it is much more effective than simply planting trees. With the best of good will, we don't have the space and the time to plant enough trees to remove enough CO2 from the atmosphere (besides, people seem to be more interested in destroying trees). Artificial trees should work better than the IPCC idea of BECCS (bioenergy and carbon capture and sequestration) since they need no water or fertilizers and they can be placed anywhere, even in the middle of a desert. Then, DAC machines are flexible: the CO2 removed from the atmosphere can be sequestered underground but also, if needed, used to produce fuels and chemicals: you can "tune" the removal without having to leave the machines idle. A rough estimate of the energy involved in the DAC task says that about 10 GW of continuous power would be required in order to remove one billion tons of CO2 per year. Since we are emitting some 38 Gtons of CO2 per year, the energy needed for DAC to have an impact is not unreasonably large since the world consumes today about 15 TW of power. Consider also that this technology couples nicely with renewable energy. The excess energy that photovoltaics and wind produce in some periods can be conveniently put to good use powering the CO2 removal system. But don't think of NET as a way to keep burning more and more fossil fuels. It is an emergency tool to remedy the damage we have already done: if we keep at doing more damage, then it will be useless. It needs to be coupled with a rapid reduction in emissions and the deploying of renewable energy sources. Note also that the amount of CO2 that can be stored underground is not infinite. Then, it becomes a question of cost and of time. We need to build millions of DAC machines in a few decades if we want to control the CO2 concentration in the atmosphere and bring it to levels that we judge safe. Impossible? No: during the second world war, the world managed to produce some five million tanks and military vehicles in about 5 years. In fifty years, a much larger economy such as the present one could well produce tens of millions of DAC machines, also considering that one of these machines is probably less complex and less expensive than a battle tank (to say nothing about being much more useful). In the end, the essential point of this technology is that it is truly global: DAC machines can be placed anywhere in the world and their effects will be global. As a consequence, operating them requires a global governance system. 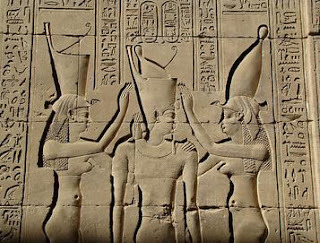 The situation is not different from that of the ancient Egyptians who needed to manage the Nile in order to ensure that there was enough water for irrigation. They succeeded, so why can't we? It is a great occasion for humankind to get together for a worthy task: managing the atmosphere as a global commons. 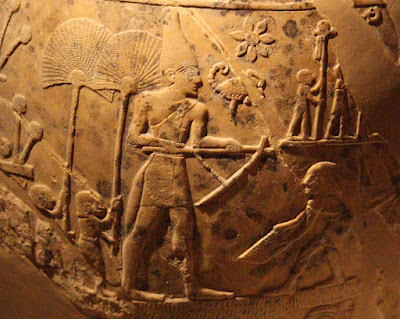 Below, King Scorpion II engaged in digging an irrigation ditch in ancient Egypt, in other words, managing the commons! (*) Note that DAC/NET is absolutely not the same thing as "CCS" (carbon capture and sequestration) intended as a retrofit for existing and new coal plants. Coupling coal with CCS is just an expensive way to keep going with obsolete technologies and will do more damage than good if it is deployed. "Hope is not weak. Hope swims" - A book by Solitaire Townsend. 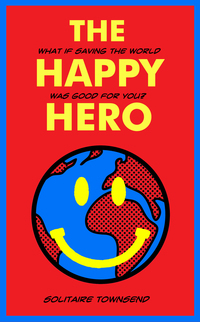 I had big hopes for this book, "The Happy Hero" that Solitaire Townsend published in October 2017. But when the book arrived I was immediately put off by the combination of the cover and the title. I don't know about you, but I hate the places where you are greeted by one or more smiling faces and - often - by the words "have a nice day." Maybe there is some market research showing that these things increase sales, but for me they are depressing. The first impression of this book is that it is one of those "self-help" books you find in the bookstores in the halls of airports. Sugar coated pills that help nobody. Then, if a book is like a person, it can never be perfect - you may like him or her a lot, but you must accept his/her idiosyncrasies. And not all persons you meet are the kind of person you would want to marry. So, this book has defects, one is the title. Personally, I would have chosen as title the sentence written at p. 61, "Hope is not weak, hope swims". It is nevertheless a remarkable book. Very remarkable. Let me just emphasize one point: it is that Solitaire is everything but solitary (sorry for the pun). 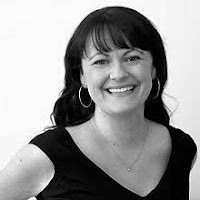 She understands a fundamental point: if you want to do something good, you don't do that alone. At page 91 she cites an old saying that goes "if you want to go fast, go alone. If you want to go far, go together." Which I think really highlights one of the weak points of the environmental movement. The tendency of going alone. So, if you think you want to be a good environmentalist, you may leave your car for a bicycle and that may make you feel like a hero. But you don't realize that what you have done is just to leave some gasoline available for some bad guy with an SUV. And let's say nothing about the hordes of doomsters who populate the movement. They have already decided that we are all to die, nothing to do about that. Apparently, they feel happy that way. It is what Solitaire calls "the monster of doom." There are plenty of variations on the theme "Saving the World" with the well-known caveat that the world doesn't need to be saved - it is us, humans, who need to. Yet, if you don't want to fall into fatalism or into useless tinkering of details, we need people like the non-solitary Solitaire Townsend.